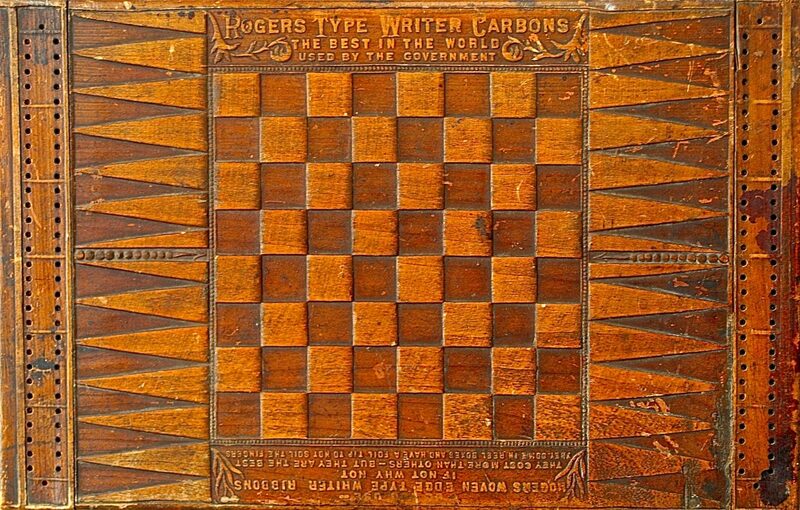 There are 2 different types of game boards from Rogers Manifolding & Carbon Paper Co.: One type has a beautiful paper litho cover and the other type has interesting impressed wood games on the cover. 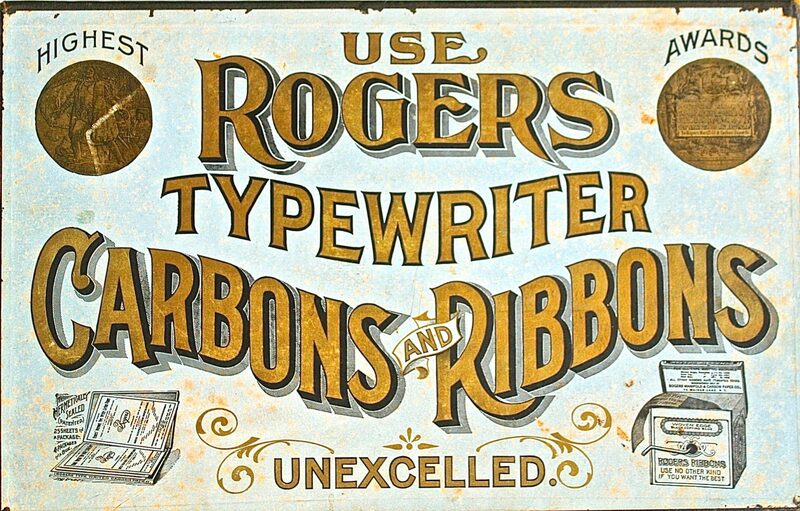 Both types are exceedingly rare and collectible historically from the company that first put typewriter ribbons in metal boxes circa 1890-03. Games: There are very interesting Whist game counters as 3 of the 4 picture Blickensderfer No.5 typewriters. Each counter is in a different color: Orange, Green, Violet and Pink.